‘My Meal Mate’ has been developed by the Nutritional Epidemiology Group based in the School of Food Science and Nutrition at the University of Leeds, United Kingdom. The programming of the first iteration of the android app was conducted the software company Blueberry Consultants Ltd. Subsequent programming and the development of the iOS app has been conducted by X-lab. The My Meal Mate development team. 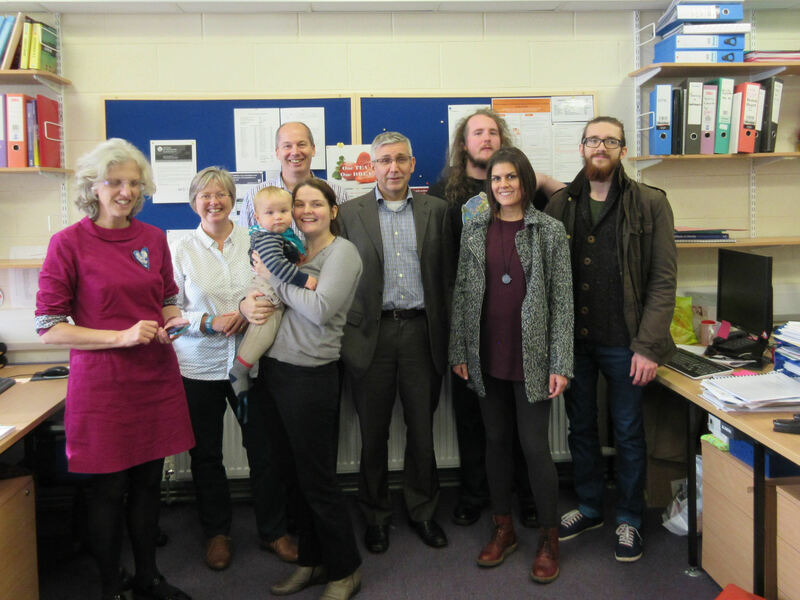 (L to R, From University of Leeds; Professor Janet Cade, Dr Victoria Burley, Neil Hancock, Dr Michelle Carter (and baby Noah Carter). From x-labsystems; Owen Johnson (Director), Scott Jones, Sara Manchado, Arthur Smulko. “My Meal Mate” (MMM) is an app for weight management which has been designed by nutrition scientists at the University of Leeds, UK. This is the first free weight loss app which has been developed by academics using scientific evidence and has actually been piloted in a weight loss clinical trial. MMM helps the user to set a realistic goal for weight loss based on their needs and contains a diary to keep track of eating and activity. The user also receives feedback on their progress. Why use this over other apps? • Unlike other apps, we actually have evidence that it can help people to lose weight. In our pilot trial, average weight loss in those using the app was 4.6kg (10 pounds) by 6 months. • The huge food and drink database is specific to the United Kingdom so includes brands that British people will recognise. • The app has features to make it easy to use, such as; the ability to take photographs as memory prompts, text message prompts to feedback on your progress and weight entry so that you can track your weight loss. • It’s free – we know how difficult weight loss can be and we really just want to help. We have no need to make money from selling the app or selling advertising. • Help videos are available on ‘you-tube’ here.